Is your agency working on inbound marketing strategies? Do you put out a ton of content but have poor conversion rates? Wish that you could stay a step ahead of the competition? You’re probably doing all the right things but maybe not using the right tools. Why you can dominate just by niching. #1 way to boost your agency’s profile. Today, I talked with Chris Ching CEO and Founder of ElectricEnjin, an e-commerce website design and SEO agency. Chris is a long-time fan of the podcast, and he’s here to share some tips on how he catapulted his agency after going through three iterations of his business before finding the winning combination. Chris is definitely a hustling agency owner having reinvented his business model three times! With a lot of lessons learned, Chris’s best tip on staying competitive in a dense market is this — niche down. I’ve talked about niching plenty on this podcast. But, this is a reminder — niching brings success. There are a plethora of “me too” agencies to compete with when you’re a generalist. Chris and I agree; you need to find what makes you different. Figure out what you’re really just good at and use it. Don’t focus on your weaknesses — focus on your strengths. You cannot be the best at everything. So pick one and dominate it. Plus, when you’re great in one industry or one skillset, you’re more likely to get hired for your expertise. Think about it. Would you want to hire an agency that’s just good at digital marketing or amazing at SEO? It’s a no-brainer. One of the toughest parts of starting an agency is figuring out what converts. There are so many types of content and platforms to focus on. 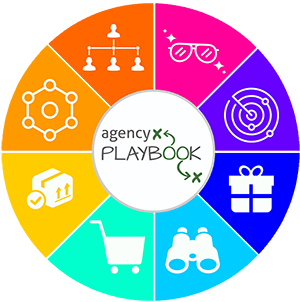 How do you select the right style and place to covert the most for your digital agency? 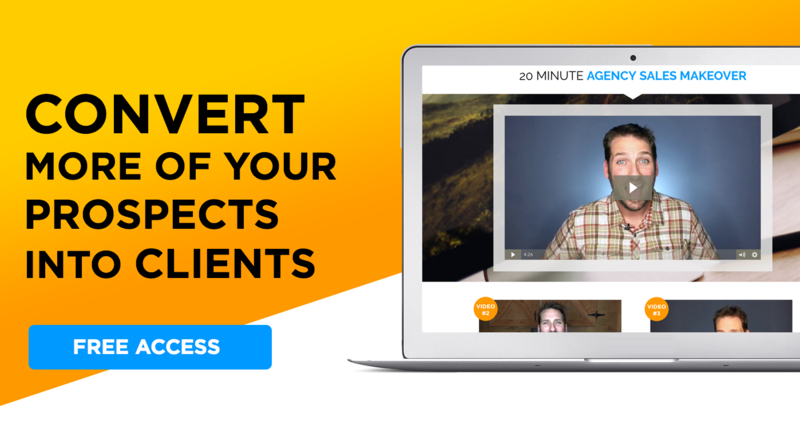 Lead Magnets: Chris’s agency offers a free site audit as their lead magnet and they’re totally crushing it with converting those free audits into paid clients. Chatbots: I’m a big believer in chatbots. In fact, I have one! Chatbots are 24/7 sales machines that grab leads, convert, and engage with minimal investment. It’s silly not to have one at this point. Personalized Videos: I send personalized videos to ALL of my clients. They form a connection quick. Chris started using personalized videos on his free website audits. He said they made a huge difference. In fact, he says his audit conversion rate is 50%! If your agency website is not converting the way you’d like, you can change that by making sure your content is ranking for the people searching it. Run a content audit on your own website. Develop a customer avatar (or a couple of them) and make sure your content is directed to those avatars. Take a hard look at the value you’re providing compared to your competitors. Write the content your prospects are actually looking for and maybe even delete old stuff that’s cluttering up your site. Chris and I talked about one of the most common problem areas for agencies, which is not branding the outcome or experience. It’s not enough to tell people you do x, y, and z. You have to form an emotional connection with your clients and sell them on the feeling of success at the outcome of working with you. Chris gave a great example of the Clif Bars logo, which has a guy hiking up a mountain. The packaging is chunky, unique, and rugged but it sells the experience. Whereas their competitor, PowerBars, has plain packaging and tell you what’s in the bar. It’s entirely functional but non-experiential. Sure, PowerBars still sell. But, Clif bars have transformed themselves into more than just the product. They’re an experience. What are you doing to sell the experience?